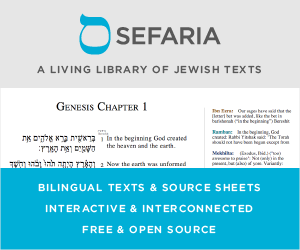 Are there any authentic, ancient Jewish texts that are from the Essenes? I have learned a little about the Essenes from books, lectures and the Internet, but I am wondering if there are actual texts that I can read that have been passed down throughout the ages? I am specifically interested in their Jewish customs/traditions. I am also wondering what happened to the Essene Jewish traditions. I know that early Christians were considered Essene (and I think there is record of them--like the "desert fathers"?) but what happened to the Jewish Essenes who were not followers of Jesus? Was their philosophy passed on in Kabbalah or traditions that we might have now that are kept private? It's also debated which sect wrote the Dead Sea Scrolls. From what I understand, Professor Schiffman believes it was the Sadducees, and Leiman is more inclined towards the Boethusians. Of all the sects at that period, basically we have what became Christianity, and what became the mainstream Pharisee Judaism that was recorded in the Talmud. The other sects pretty much faded away, with whatever works they had. As far as I know, there's the Samaritan Bible; the Dead Sea Scrolls; and I believe the Book of Jubilees survived in some form (aside from the scrolls); but that's really about it. So as far as we know, all the other sects eventually folded into either Christianity or Judaism (well maybe eventually the Karaites), or into the broader surrounding cultures. Not the answer you're looking for? Browse other questions tagged history mysticism-kabbalah mesorah-tradition . Is there any corobating evidence besides the Bible of the stories of Shadrach, Meschach, and Abednego? Cherubim & Ark of Cov. description paralleled to (or inspired by) Egyptians?